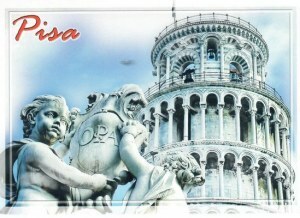 The Leaning Tower of Pisa or simply the Tower of Pisa is the campanile, or freestanding bell tower, of the cathedral of the Italian city of Pisa, known worldwide for its unintended tilt to one side. 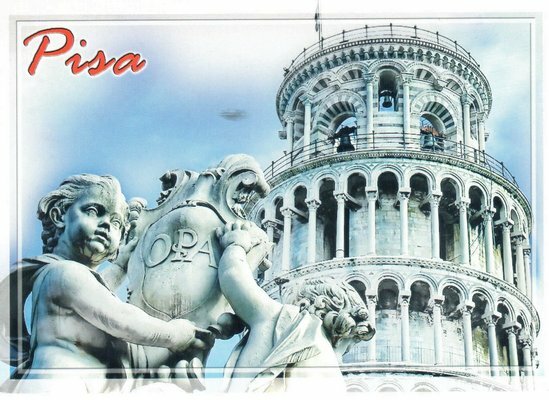 It is situated behind the Cathedral and is the third oldest structure in Pisa's Cathedral Square (Piazza del Duomo) after the Cathedral and the Baptistry. The tower's tilt began during construction, caused by an inadequate foundation on ground too soft on one side to properly support the structure's weight.